For whatever reason, my little three year old loves the Incredible Hulk. 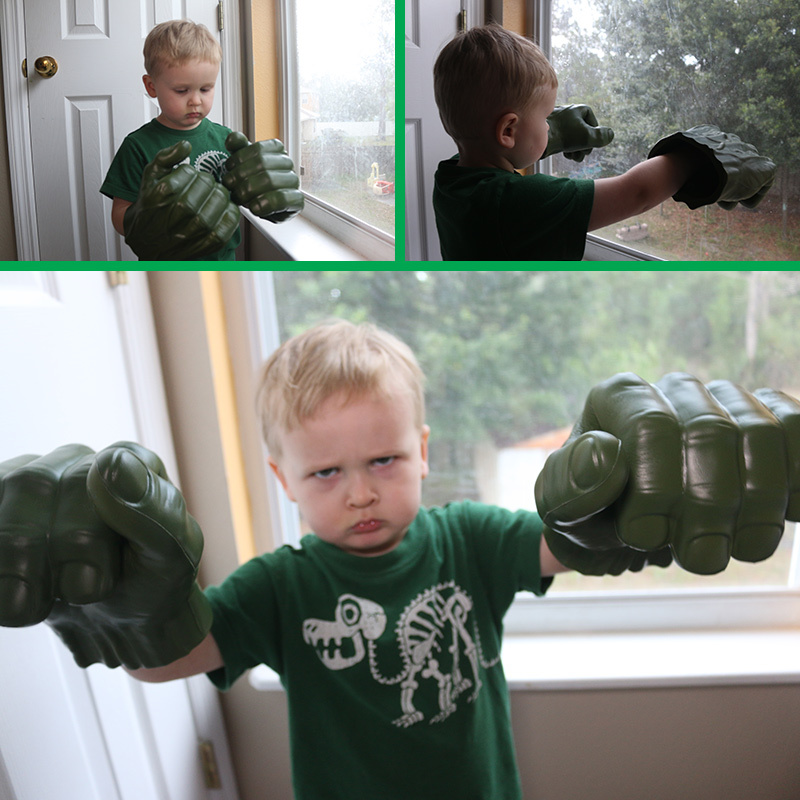 He had a birthday party with friends today and got big fists as a gift. He’s been wearing them all afternoon with his green shirt and purple shorts. Such a funny kid.